East Coast: Move over IKEA. Meadowbrook students build their own furniture. As beautiful as yesterday's buildings were, it was refreshing to get into a school with students this morning. 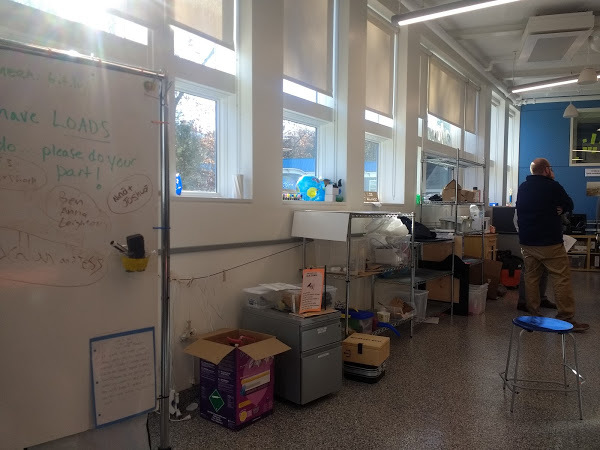 We arrived at the Meadowbrook School in Weston, MA, and immediately entered the Eureka Lab, a brand new innovation and maker space that occupies a prominent space in the heart of the school. There were scissors and cardboard tubes aplenty, but very little other furniture. Why? As Susan Fisher, the former-librarian-turned-Eureka Lab-coach explained, the students have not built it yet. That's right, students are currently designing and building the furniture that will store materials in the new space, using their elective time and woodworking arts class to "concrete" their learning. 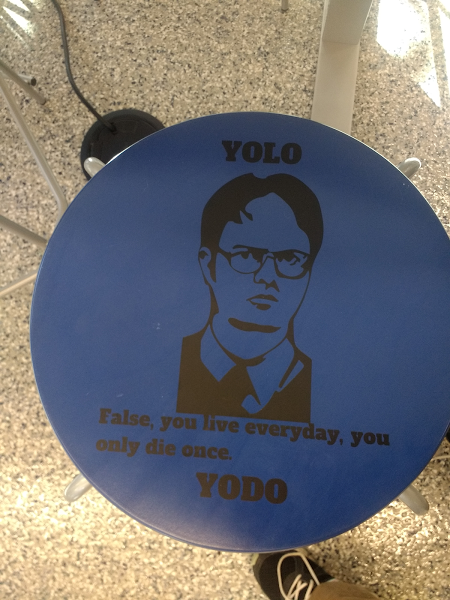 They are also decorating the stools that are currently in the lab, using vinyl cut-outs like this one. At a school where even 2nd graders wield power tools, there really are no passengers.